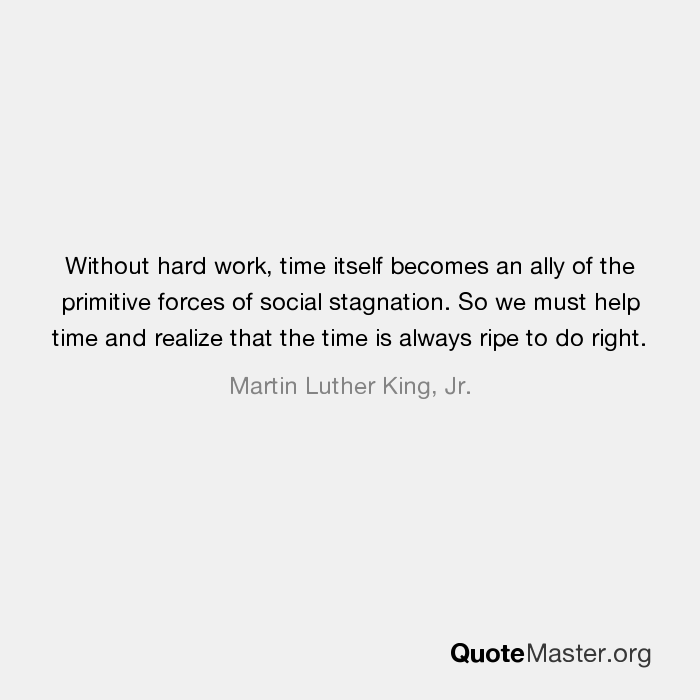 Without hard work, time itself becomes an ally of the primitive forces of social stagnation. So we must help time and realize that the time is always ripe to do right. Martin Luther King, Jr. 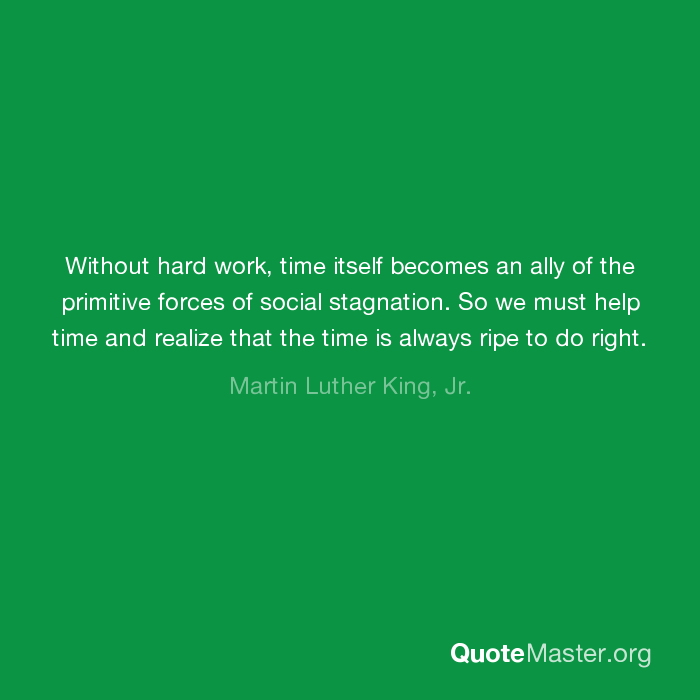 Without hard work, time itself becomes an ally of the primitive forces of social stagnation. So we must help time and realize that the time is always ripe to do right. - Martin Luther King, Jr.